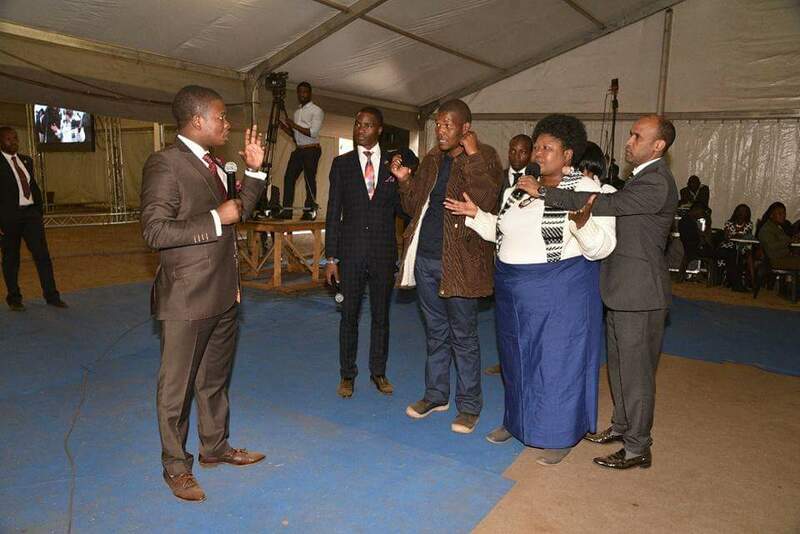 Bushiri: A woman began to speak in English after the prophet prayed for her. The illiterate can become literate instantly by a word of a Major prophet. 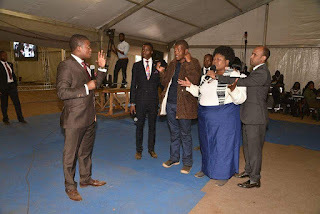 On the 26th of June, on a typical packed sunday service at Pretoria Showgrounds, despite the cold weather, Prophet Shepherd Bushiri's followers filled up the halls, including the tent and the stands at the showground' stadium. Immediately when the most adored prophet,popularly known as Major one,arrived, he instead went straight to minister to his congregation gathered at the tent dubbed 'miracle tent or mzuzu' which is quite unusual as he always arrives and ministers straight from Hall H which is ECG'S main Hall at Tshwane Events Centre. As he was ministering, he picked some few people to prophesy. Amongst those being prophesied, there was a woman from Rustenburg in the North West Province of South Africa who stepped forward with her adult son. As Major 1 was revealing what he was seeing in the spirit, he mentioned that the man has a mental illness. The man confirmed together with his mother. Because the man couldn't speak well due to his condition, Major one turned to the mother and began prophesying to her. Unfortunately, the woman couldn't answer in English. She could only speak in Sotho. Major 1 insisted she responds in English however the woman struggled. That's when the prophet told his congregation that he's going to pray for this woman for her to be able to speak in English. Immediately after that short prayer, the woman's tongue was loosed, she began responding in perfect English, leaving the congregation both at the church and those watching online via Major 1ns own Prophetic Channel , mesmerized and in awe of what the God of Major 1 had done instantly right before their eyes. Even the woman appeared to have been shocked herself by being able to speak English that she couldn't speak before. She began shedding tears of joy and different emotions as major 1 was telling her all about herself and delivering her from bondages that tormented her life and her family while the rest of the congregation was left speechless seeing such a miracle right before them. The God of major 1 is a God of wonders and miracles and anything is possible with him. The illiterate can become instantly literate simply by just a small prayer or declaration by the major prophet. The miracle tent did what it's renowned for; instant miracles!